M. Night Shyamalan blew audiences away back in 1999 with his unbelievable twist ending to the film The Sixth Sense, but with that I think he felt that he had to continue on with the tradition of twist endings and before he knew it his career began to falter. 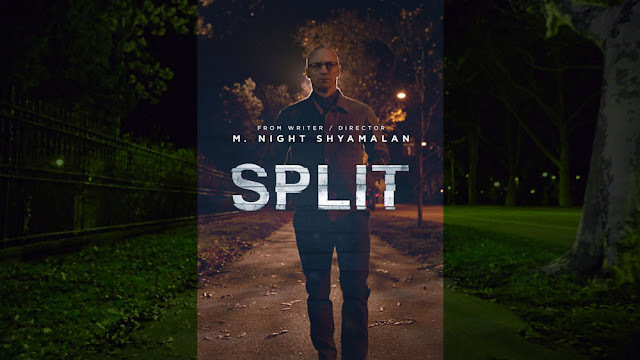 But he seems to have found his footing again with the 2017 film Split. Split begins with a trio of typical high school girls being kidnapped by a strange man. The girls awaken in a room with 2 beds, a bathroom and a locked door. Soon they come face to face with their kidnapper. As time goes on it becomes very evident that something is off about this guy. Our final girl, Casey (played by Anya Taylor-Joy) figures it out, this man has split personality disorder. We begin to learn that this man has many different personalities including a woman and a small 9-year-old boy. Each of the girls tries to devise a plan to get out but each one gets caught until all 3 girls are separated from each other. The man seems to really like Casey and spends most of his time with her. Meanwhile, we get to see the man in the outside world where he visits a psychiatrist (played by Betty Buckley). The psychiatrist knows of all 23 personalities and becomes suspicious of which one she is really speaking to. It becomes clear as the movie goes on that 2 of the 23 personalities are dangerous and are in charge. The film looked good from the trailer and I have to admit it was decent but I felt it had a lot of flaws and the main one was pacing. The film drags on a lot during the middle of the movie. The film becomes a bit repetitive because it's all about the one girl trying to get out and the whole time you're just sitting there trying to figure out what is going to happen with the guy at the end or what's the twist gonna be? I will not spoil the ending or the twist, but I do have to say that the film gets a bit ridiculous even with the twist kind of shedding light on it. 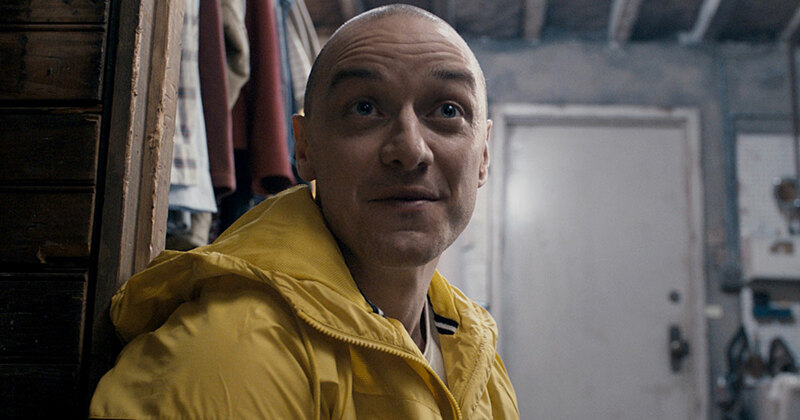 James McAvoy delivers a great performance as he has to do quite a few very different performances. The film is worth checking out at least once, it's the first Shyamalan film I've ever seen in the theater and the first one I've seen since The Village way back in 2004!